Furniture from a Washington DC home on "Cherry Blossom Lane"! Furniture from a Washington DC home on “Cherry Blossom Lane”! What a nice week to be in Downtown DC Getting a Great Load of Furniture! Although the house address was technically NOT “Cherry Blossom Lane”, it sure felt like it as our team drove down the street with a canopy of cherry blossom trees in full bloom! The furniture from the house didn’t disappoint either- Baker, CR Lane, Wesley Hall and More! The pictures here were taken on our dock yesterday, April 9, 2019. 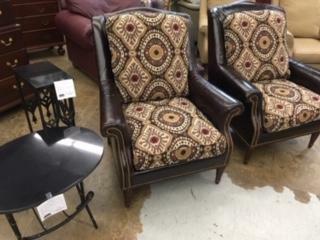 Along with the Washington DC Estate, we have other nice pieces from Baltimore and Southern Pennsylvania homes! 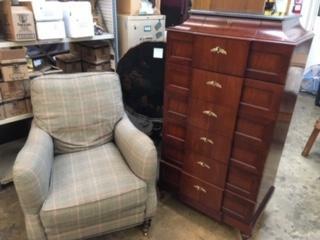 Baker Furniture Fabulous Tall Chest next to Wesley Hall Rolled Arm Club Chair. CR Laine Leather Collage Chairs and two Contemporary Stone and Metal Stands. 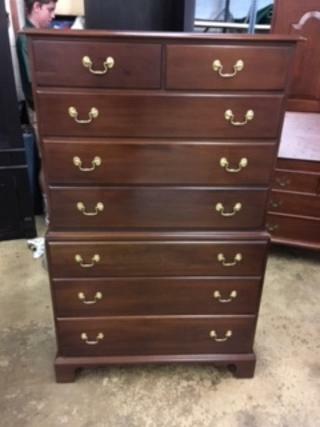 Good Looking Knob Creek Tall Chest. 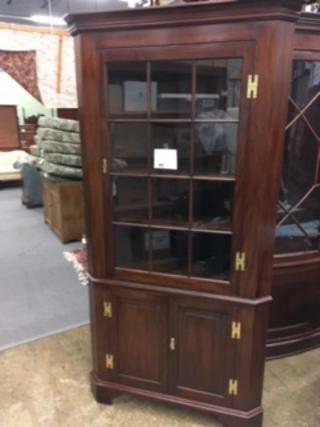 Henkel Harris 12 Light Solid Mahogany Corner Cabinet. 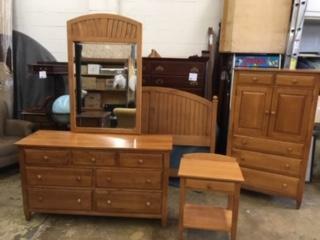 Casual Light Wood Ethan Allen Bedroom Suite with Queen / Full Headboard. 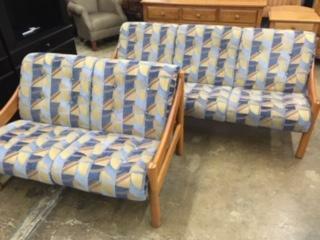 Mid Century Modern Teak Sofa and Loveseat by Danish Maker Domino Mobler. 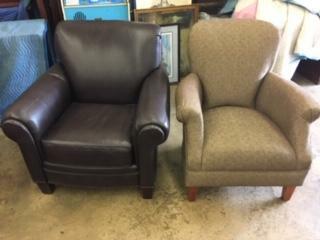 Broyhill Brown Leather Club Chair and a Contemporary Tan Club Chair. 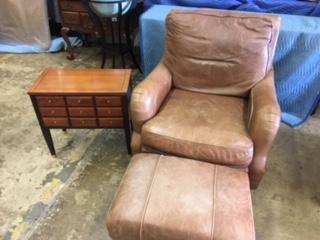 Ethan Allen End Table and Brown Distressed Leather Chair and Ottoman. 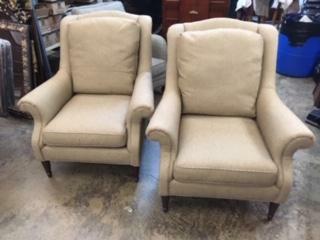 Pair of CR Laine Tan Club Chairs. 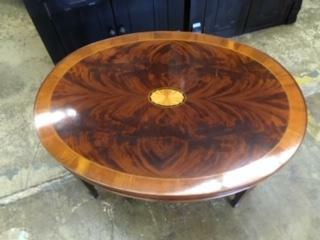 Hekman Oval Inlaid Mahogany Coffee Table with Burled and Banded Top. 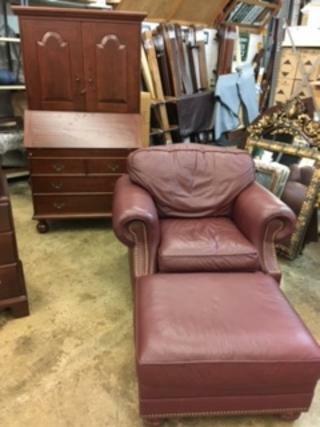 Bucks County Collection by Stephen Von Hohen Dropfront Desk and CR Laine Burgundy Leather Chair and Ottoman. 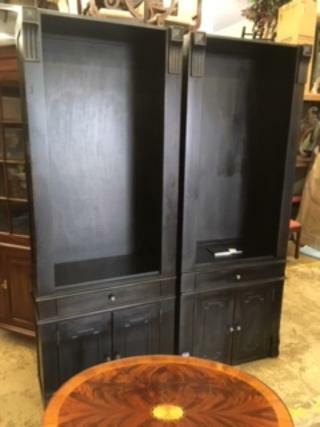 Pieces from a Restoration Hardware Wall Unit.